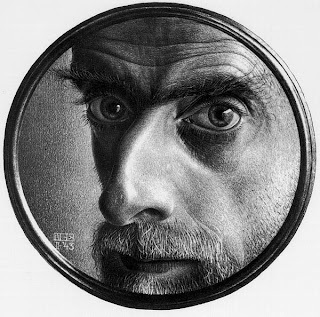 M aurits Cornelis Escher was a pretty smart guy, mathematically speaking. He didn't do so well in school as a youngster, but he turned out alright anyway. 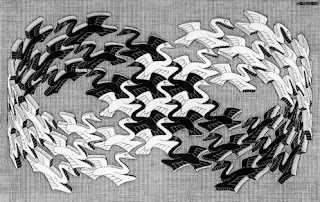 H e was fascinated with the the idea of infinity, the infinite-ness of pattern and repetition, the impossibility of the human mind to grasp the idea of the infinite. 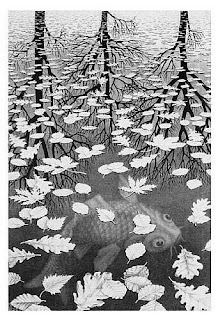 My favorite of his works is this one: three worlds. 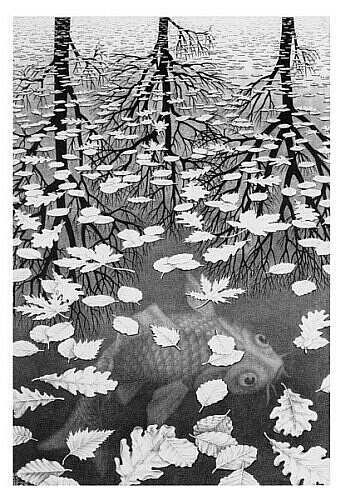 I like the reflection, depth and the subtle repetition of shape. 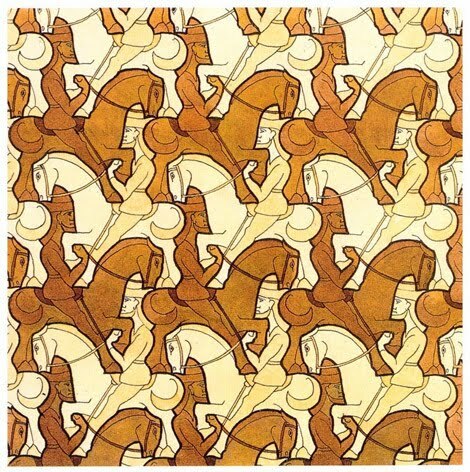 Es cher's tessellation patterns were some of his most ingenious works. They are thoughtful and well planned. He spent hours perfecting his designs and the pieces all fit together just as they should. 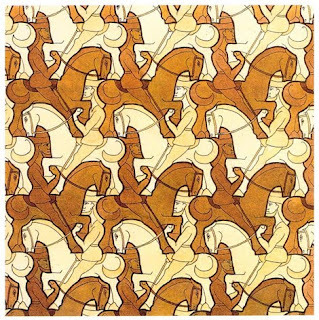 Those ideas apply to more than just tessellations. How about the way we develop patterns of repeating mistakes in our lives. Or how those who love us continue to forgive us for these mistakes. Or maybe how with some intentional thoughtfulness--and with the Hand of the Infinite, we can be renewed to create different and better patterns within our lives and relationships. 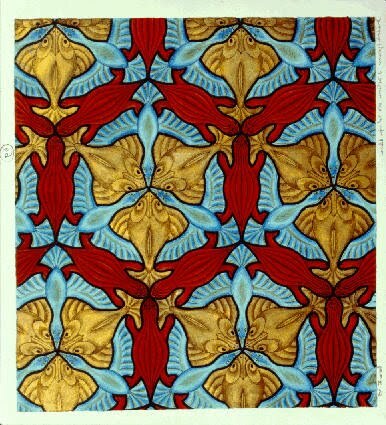 Patterns that will echo eternal beauty.